Cheatin' Christmas is here early thanks to vegan favourite Redwood. 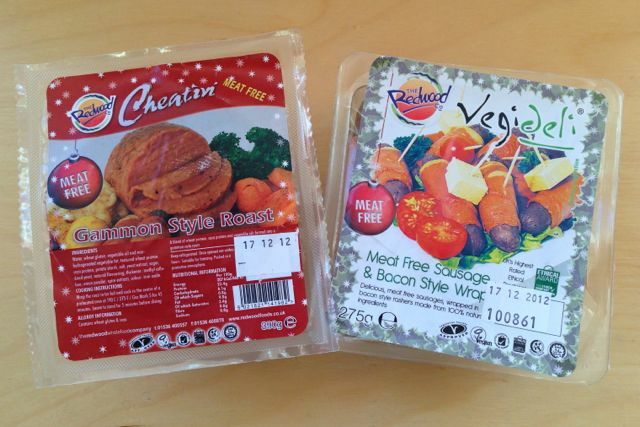 We're reviewing their festive range of vegan meats, cheeses and pates, starting with their Gammon Style Roast and Sausage and Bacon Style Wraps. The gammon roast is a Christmas special that isn't available for the rest of the year, and the same goes for the wrapped sausages. We put the two together for a Sunday Roast to see if they're a contender for Christmas.